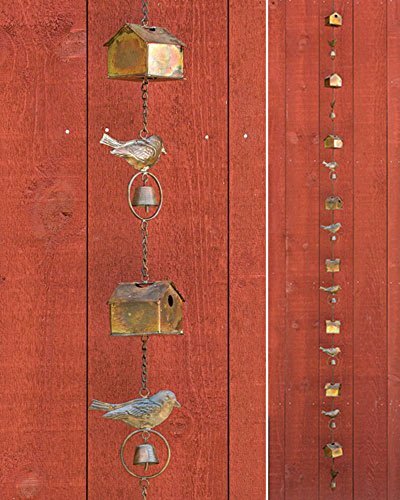 Ancient Graffiti 4.5 inch x 104 inch x 4.5 inch flamed iron rain chain features a birdhouse, bird and bell. Ancient Graffiti prides itself on developing unique and intriguing looks in garden decor. We believe the essential ingredients for eye catching design elements is a special combination of imagination and attention to detail. Our commitment to fresh and relevant design is always a top priority. If you have any questions about this product by Ancient Graffiti, contact us by completing and submitting the form below. If you are looking for a specif part number, please include it with your message.